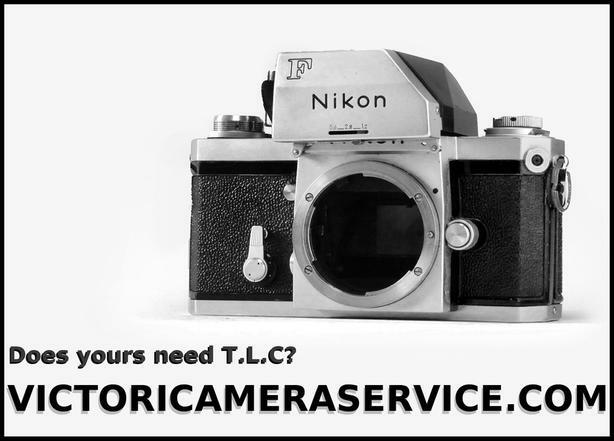 Is your film camera in need of some T.L.C.? ...a C.L.A. may be just what it needs (Clean, Lubricate & Adjust). Victoria Camera Service Ltd. service all makes and models of film cameras and lenses. Film & Digital Cameras, Lenses, Flashes, Video Cameras, Slide Projectors, Binoculars, Microscopes, Spotting Scopes and Collectible Photographic Equipment. We'll provide a full diagnostic and estimate prior to performing any service for you, helping you make an informed decision prior to moving forward. *Diagnostic Fee $30, taxes are extra. *This fee is credited toward the service you have done. Located on Pembroke between Quadra St. And Blanshard St.